In the same format as his best-selling books A History of the World in 100 Objects and Germany: Memories of a Nation--the acclaimed art historian now gives us a magnificent new book that explores the relationship between faith and society. Until fairly recently, religion as a major influence on the nature of individual societies around the world seemed to be on the wane. Now, far from being marginalized, the relationship between faith and society has moved to the center of politics and global conversation. Neil MacGregor's new book traces the ways in which different societies have understood and articulated their places in the cosmic scheme. 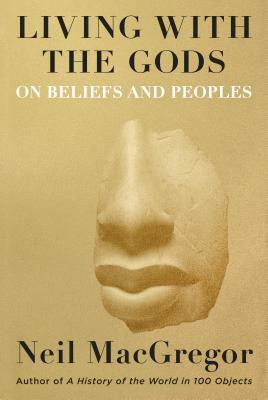 It examines mankind's beliefs not from the perspective of institutional religions but according to how shared narratives have shaped societies--and what happens when different narratives run up against each other. As he did in A History of the World in 100 Objects and Germany: Memories of a Nation, MacGregor brilliantly combines objects, places, and ideas to examine and, ultimately, illuminate these pressing contemporary concerns. NEIL MACGREGOR was director of the National Gallery, London, from 1987 to 2002 and of the British Museum from 2002 to 2015. His previous books include A History of the World in 100 Objects, Shakespeare's Restless World, and Germany: Memories of a Nation, between them translated into more than a dozen languages. In 2010, he was made a member of the Order of Merit, the UK's highest civil honor. He is now chair of the steering committee of the Humboldt Forum in Berlin.